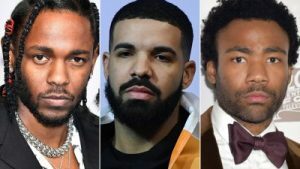 Kendrick Lamar, Drake, Childish Gambino reportedly turn down invites to perform at Grammys – Royal Times of Nigeria. Top artists including Drake, Kendrick Lamar and Childish Gambino have reportedly declined invitation to perform at the sixty-first Grammy Awards. 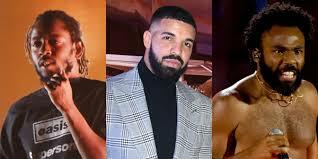 Report gathered that the three hip-hop artists were approached as potential Grammy performers, but the subsequently declined. Their absences add to the list of top celebrities who will be absent. Already, Taylor Swift is confirmed not to be attending the ceremony due to conflicts with her filming schedule for “Cats.” Also, ‘Thank You, Next’ singer Ariana Grande, despite being featured in a massive campaign for the ceremony will also not be attending following disputes with the producers over a choice of what to perform. However, Lady Gaga has been reportedly added to the performance list. The Grammys will hold on Monday, the eleventh of February from the Staples Center in Los Angeles, California.